Transform your kitchen into the tropics with this refreshing, healthy smoothie! Filled with pineapple, spinach, orange juice and Greek yogurt, this smoothie is sweet, tangy—and good for you. Orange juice provides your daily dose of vitamin C, while probiotic-packed yogurt aids digestion and gut health. Sweet pineapple is rich in vitamin A and many other nutrients. Spinach is a powerhouse of vitamins and minerals, especially iron, all the better when consumed raw. Finally, chia seeds add a punch of protein, fiber and antioxidants. Try this tasty smoothie for a delicious breakfast on the go, or as a post-workout treat! Swap the orange juice for coconut water for a lower sugar alternative. For a vegan smoothie, substitute the Greek yogurt with 1/2 cup coconut yogurt or full-fat coconut milk. The coconut will also amplify the tropical flavor of this refreshing concoction! Per Serving: 88 calories; 2g fat; 15.1g carbohydrates; 4g protein; 3mg cholesterol; 53mg sodium. This is delicious and refreshing, although in the spirit of full disclosure I will confess to omitting the chia seeds. It's a texture thing. Very nice! 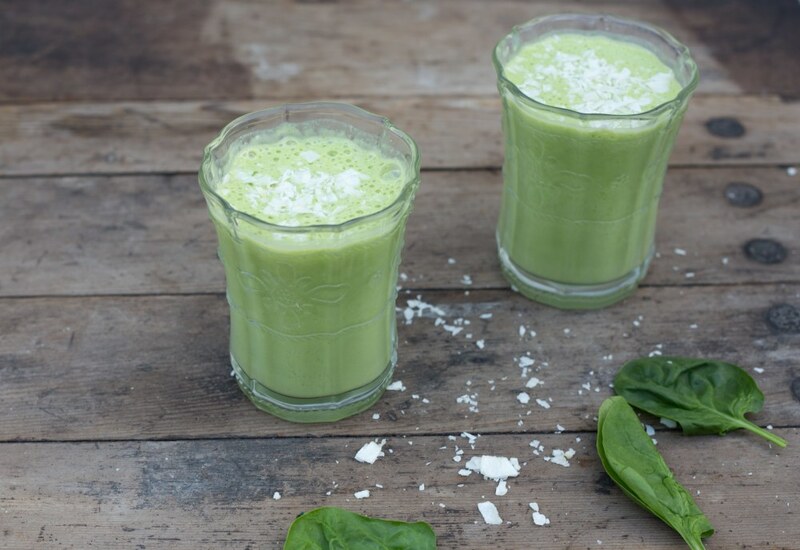 This spinach and pineapple smoothie is quick and easy. I love the added orange juice too. The yogurt makes it nice and creamy. Very well done.